Sashimi Quartet with live scallop tiradito, king salmon New Style, Golden Rye snapper with dry miso and uni with toro jalapeño. Dining at Matsuhisa is like going on a Japanese culinary safari around the world in your best designer shoes — and feeling nothing but comfortable all day long. 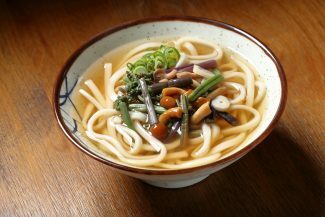 Matsuhisa is more than just a sushi joint. 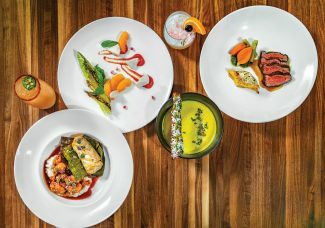 Located on the second story of Solaris in Vail, this internationally-renowned restaurant dishes up nightly appetizing adventures in sophisticated style, served with mountain-friendly hospitality. The adventure begins the moment a chorus of “Irasshaimase” rings out from staff members, meaning roughly “welcome” as you are led through the contemporary red and wooden dining room to your table. Ceiling-to-floor windows provide picture-perfect views of Vail Mountain while a cool crowd at the long designer bar keeps the ambience of the restaurant lively. Once seated you will likely be attended to by a friendly and incredibly knowledgeable server who will walk you through the extensive menu, giving you plenty of suggestions along the way. Start your Matsuhisa dining experience off with an amazing craft cocktail. A must try and staple on the menu is The Gardener, which combines Hendrick’s gin with cilantro, serranos, ginger, lime juice and simple syrup in a well balanced, herbaceous beverage that finishes with a bit of spice that will keep you coming back for more. With your palate now kicked into action, it’s time to dive into the dining journey where Japanese style meets Peruvian flavor. 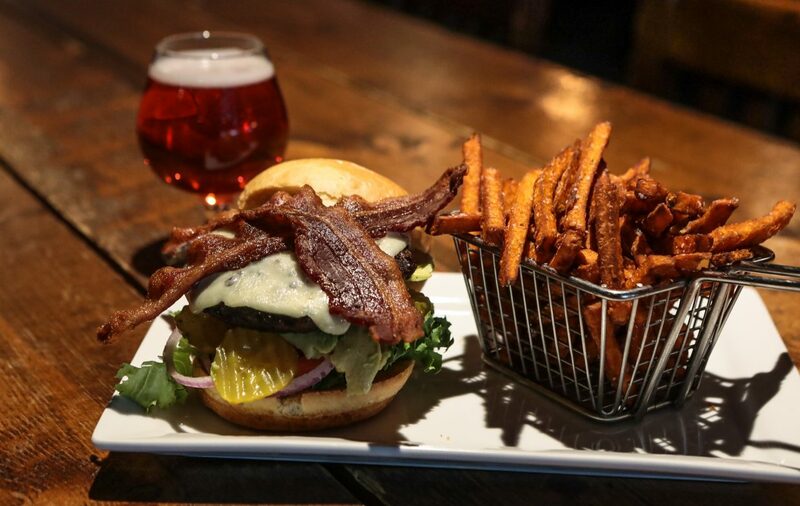 “Our philosophy is to keep it simple with clean but complex flavors, utilizing the best ingredients from around the world. 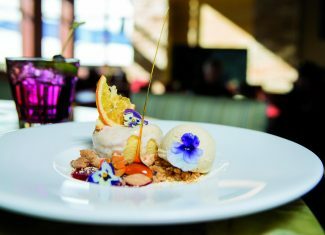 The unique part is we focus on this Japanese philosophy in a not traditional manor,” says Brian Busker, executive chef. The ever-changing sashimi quartet is the perfect introduction to this philosophy. The dish takes four different fish served in four different styles of sashimi using unique ingredient combinations to create a surprise in every mouthful as you tour through different flavor and textural profiles. The Isaki tiradito, wild grunt fish served with Peruvian rocoto chili paste, soy sea salt, yuzu and micro cilantro, starts in the mouth as a citrus flavor before moving into salty with a hint of spice and finishing with the butteriness of the fish itself, all in one bite. Pair this with one of the Nobu-specific cold sakes served in a real bamboo carafe. 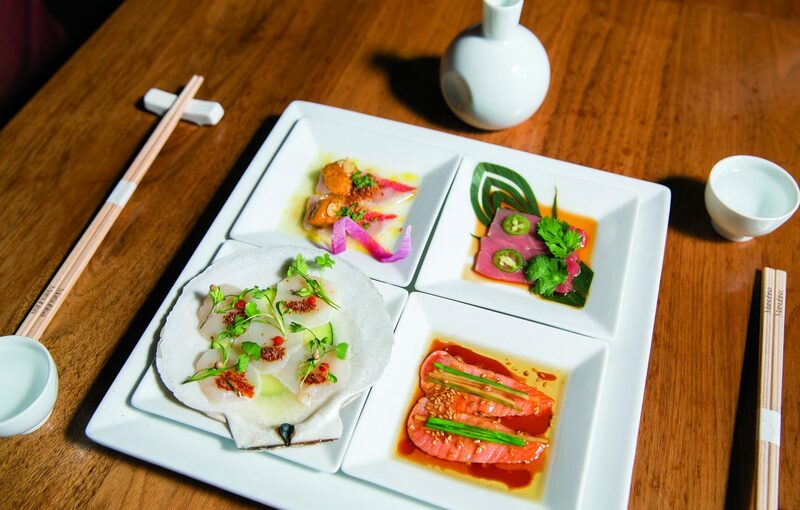 While Matsuhisa is well known for its sushi menu, their kitchen menu items are not to be ignored. Signature dishes like the tempura king crab with “amazu” sweet ponzu, or the miso-marinated black cod, which is marinated for three days and literally melts in your mouth, and which the servers affectionately refer to as “fish candy,” are consistent crowd pleasers. 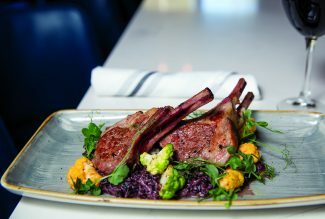 New items like the 30-ounce bone-in Wagyu rib-eye with truffle tosazu butter or warm mushroom salad are sure to excite both regulars and newcomers to the restaurant.